Luno is one of the exchanges where you can sell or buy Bitcoin/Ethereum and also withdraw directly to your local bank account. This article will guide you through on how to deposit, sell and withdraw into your local bank account with ease of use. 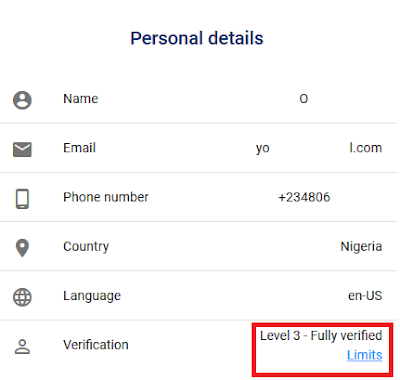 Before you begin, make sure you are already registered and verified on Luno. Level 1: verification is with your phone number usually during registration. Limit is N200,000. Meaning, you cannot at any point have more than N200,000 in that account. Level 2: verification is with any of your ID card (National ID, voters card, driving license or international passport). Limit is N500,000 monthly. You cannot withdraw nor deposit more than N500k in a month. You can have any amount of Bitcoin in your Wallet. Level 3: verification is with any of these: Utility bill, Bank statement. Limit is N10m monthly withdrawal and deposit. You cannot withdraw or deposit more than that in a month. You can have any amount of Bitcoin in your Wallet. To begin, make sure you have a verified ATM card that can be used for online transaction. Go to menu, and click on wallets. Click on "PayU Debit or credit card" or GT collections if you are using GTBank. Enter the amount, click next. Then click continue. You will be redirected to PayU website. Click on Card payment, then enter your ATM card details(Card number, holder's name, expiration date), click on Pay. Cross check the details. Safe token (OTP- one time password) will be sent to your phone number as SMS for verification. Enter the code in the space provided on the website to complete the transaction. The money will be deducted from your account and your LUNO NGN wallet will be funded with the amount (minus the fee). The money will be deducted from you NGN wallet and your BTC wallet will be credit with the equivalent amount in Bitcoin. Go to BTC wallet/Ethereum wallet, click on sell. Enter the amount of Bitcoin/Ethereum in Naira or BTC you wish to sell. Click continue. Confirm the transaction. The Bitcoin will be deducted from your BTC wallet and its equivalent in Naira will be credited into your NGN wallet. Go to NGN wallet, click on withdraw. Select your bank (you must have entered your bank details during registration). Enter the amount in Naira you wish to withdraw. Click on Withdraw. The money will be deducted from your NGN wallet and your bank account will be credited that same day if it falls within business days.